John E. Herreño Velasco is a 27 year old who developed, at the early age of 13, a deep curiosity for the "magical" things that modern digital computers can do. He recently graduated as an Electronics Engineer from the National University of Colombia, which helped him understand how computers are built, and studied by himself some principles on software development to get to know how to get the most out of them. 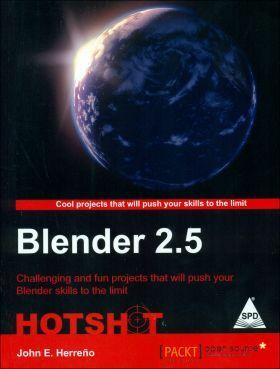 He became interested in Blender 3D after finding version 1.72 bundled in a magazine CD bought for a very different reason and has been learning since then from the awesome community of users hanging out on Internet forums and writing tutorials. Today, he's highly convinced of the power that Open Source Software and the business models around it have to improve the general quality of life in developing countries. But, above all, he's just a human being wanting to know and serve Jesus Christ..